Perfect for any nature lover, this kit contains garden green fabric and ivy ribbon. 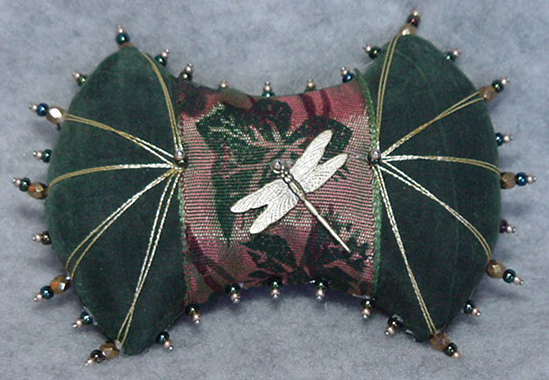 Embellishments include gold and iris green seed beads, gold czech cut beads, and a delightful dragonfly charm. Finished with light gold threadwork.